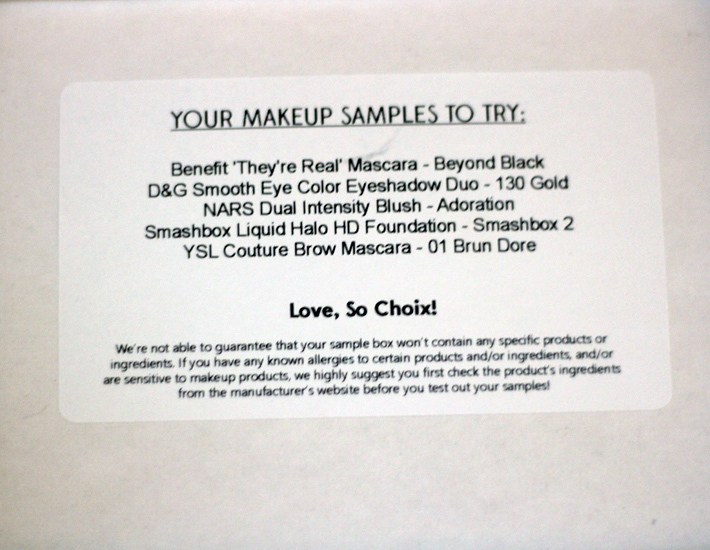 I received makeup samples free from So Choix in exchange for my review, but the opinions are all my own. 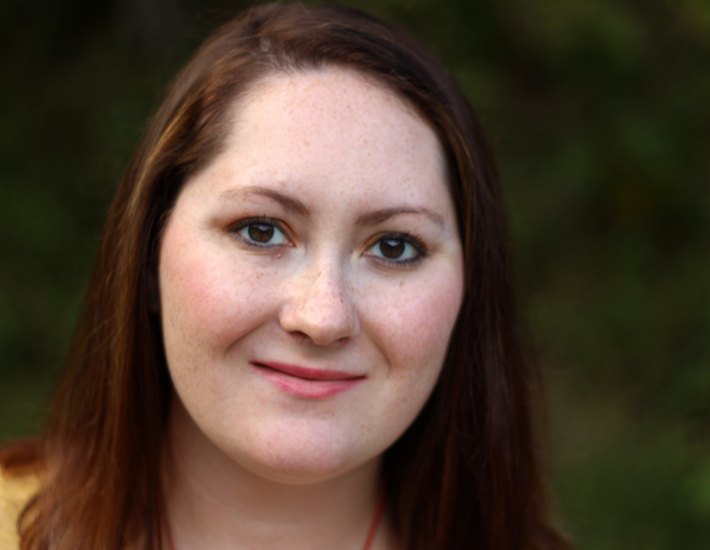 Some of the makeup that I'm wearing is from a fun company called So Choix (pronounced shwaaaa). So Choix is the perfect place that allows beauty lovers to try high-end makeup, perfumes, and nail polishes, without ever having to go into a makeup store. The great thing about So Choix is that you get to go online and pick out the beauty products that you like and would love to try. The samples came in such neat and labeled packages. 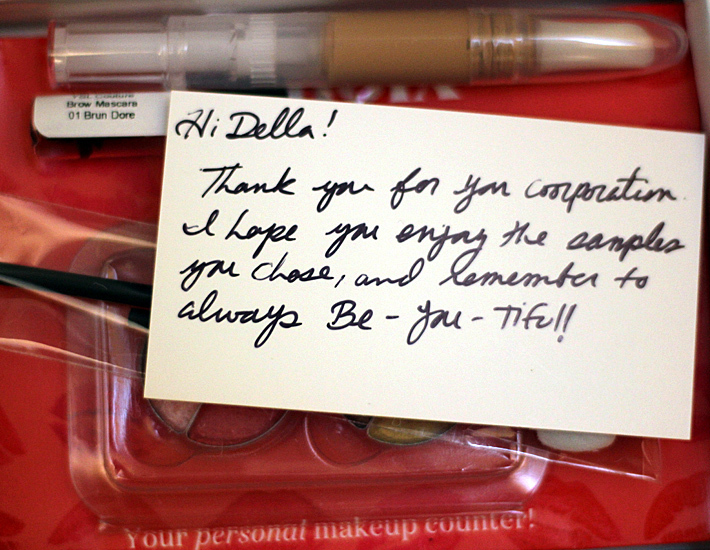 The package even came with makeup brushes and tools for application. So Choix measures out enough sample from the full size product to provide you with at least 2-3 applications. It's plenty enough product for you to determine if you like it or not. I'm thankful for these samples because it allowed me to see what I really liked and didn't like. I'm glad I was able to try these samples out without having to make a purchase of the full size in each product. I love Everything except the Brow Mascara. It is my least favorite. I found it hard to apply and it really didn't suit me well. The Dolce and Gabbana gold eye shadows are by far my favorite. They are the perfect shades for Fall and are long lasting. 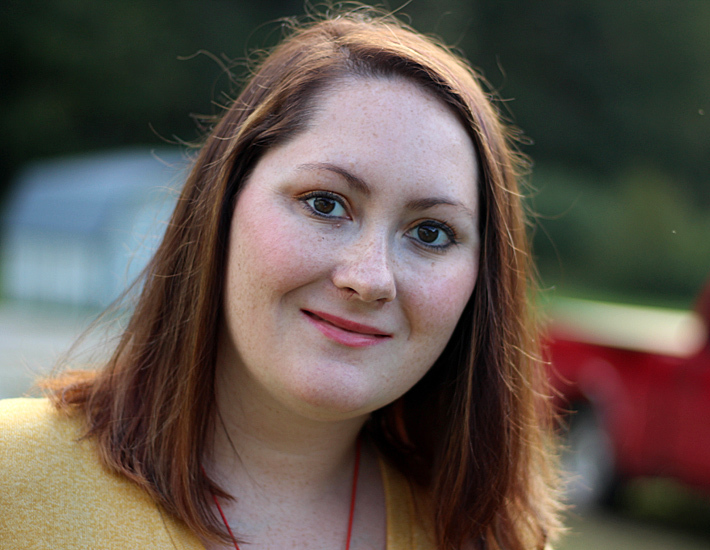 The NARS dual intensity blush also really impressed me. It seems to last for a while too. I also really liked the Mascara. It makes my eye lashes look long and real. 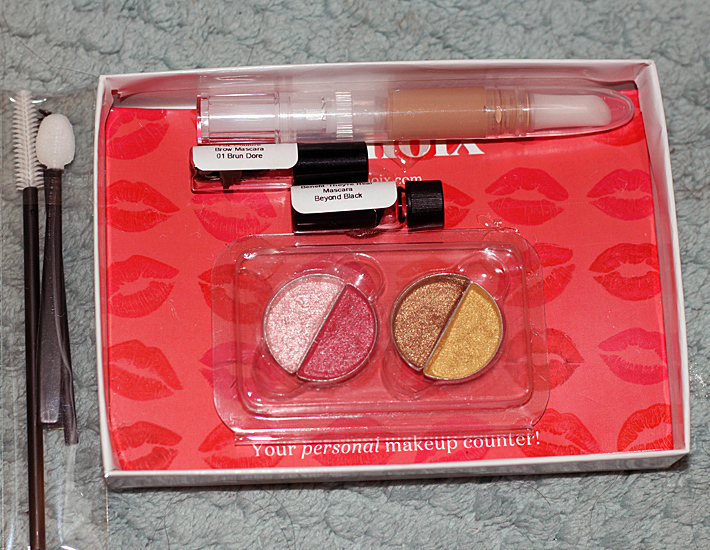 I love the makeup that I received from So Choix. It gives me that natural look that I always try to go for. Ellie from So Choix was so friendly and helpful to work with. 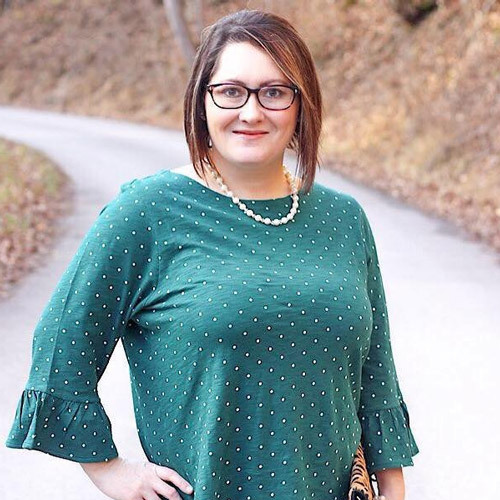 She really helped me to find the perfect natural match. You will love her too. 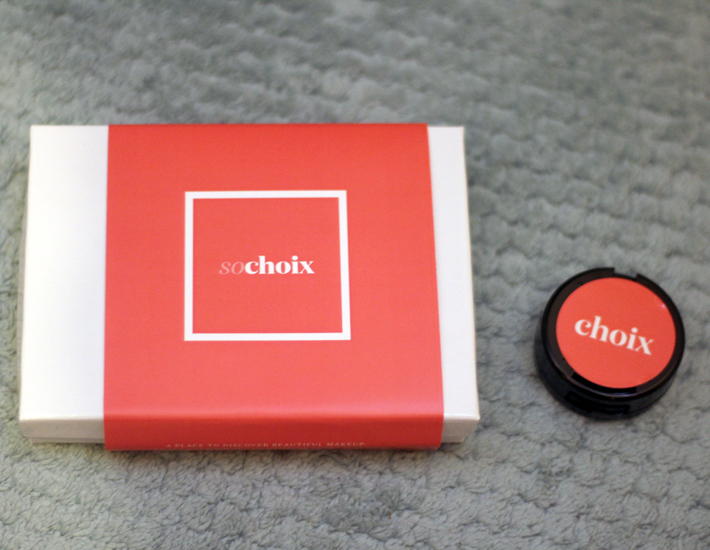 Are you Interested in trying out So Choix? You can join here. Prices start at $15/month but decrease as you purchase more months!